Our walk began on March 1, 2012 in Lewes, Delaware and concluded on November 17, 2012 in Long Beach, California. We walked a total of 3,088 miles in 12 states. Over the course of our journey, we visited 45 facilities and countless individuals with our therapy dogs. On March 1st of 2012, we embarked on a journey across America. 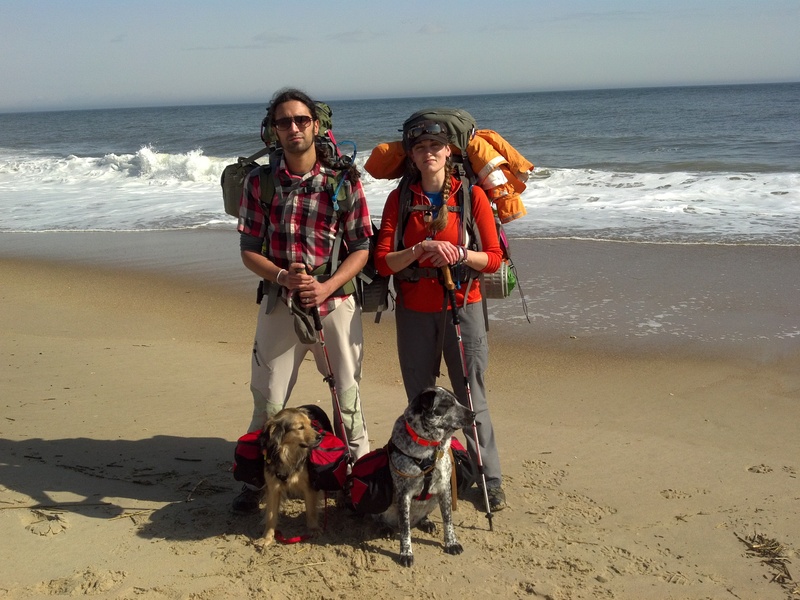 We are walking with our dogs, Max and Grace, from Lewes, Delaware to San Francisco, California. We will walk approximately 3,400 miles in 9 months to promote pet therapy, animal rescue, and the positive impact that a fulfilling relationship with animals can have on our health and quality of life. 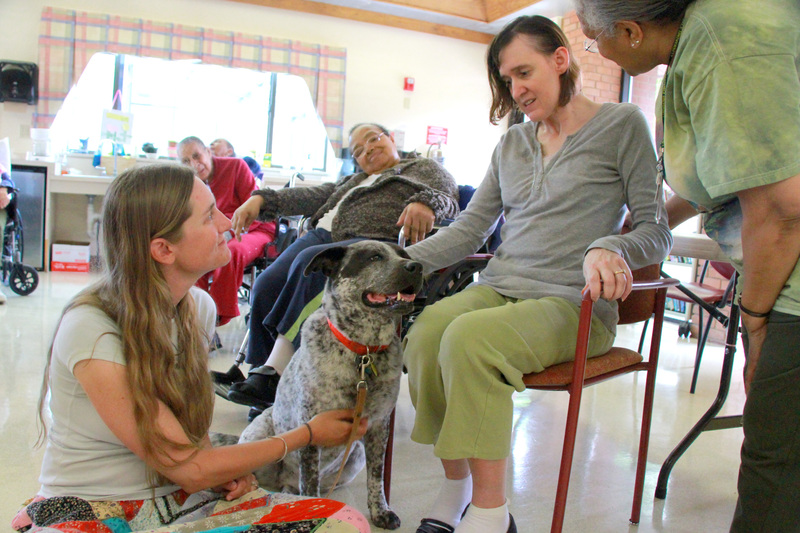 Along the way, we are stopping to make animal assisted therapy visits at hospitals, nursing homes, schools, and other places where a dog’s love and positivity are needed. This also gives Max and Grace, both adopted from a shelter as adults, a chance to show what dogs adopted from the shelter as adults are capable of. In this fast-paced modern world, our dogs are our connection to the natural rhythms of life. When we travel with our dogs, they bring us a deeper connection to the places we visit and the people we meet. They see, smell, and hear details of our world that we otherwise would look right past. Our dogs constantly remind us to appreciate quiet beauty of taking things slowly, and enjoy the world that is right in front of us. Whether we are at home or traveling, we are always amazed at how many people our dogs can connect us to. When people see dogs walking down the sidewalk, their faces light up. When we have the dogs with us, we always seem to find ourselves in a conversation with someone that would otherwise have walked right past. In these connections, we see the real value of our dogs – the connections they help us forge with the people around us. And they have an uncanny way of picking out the people who seem to need a dog’s attention the most. This is why we decided to get involved with animal assisted therapy through Pawsibilities Unleashed. Pawsibilities Unleashed is a 501(c)(3) non-profit organization based in Frankfort, Kentucky that provides training, certification, and support for companion pets, therapy dogs, and service dogs. They believe that a dog can drastically improve a person’s quality of life and they are committed to making the health and happiness benefits of a dog accessible to everyone. When we first began talking about walking across America with our dogs, we quickly realized that the project brought together the things that are most important in our lives. Over and over again, we come back to love, service, animals, and adventure. 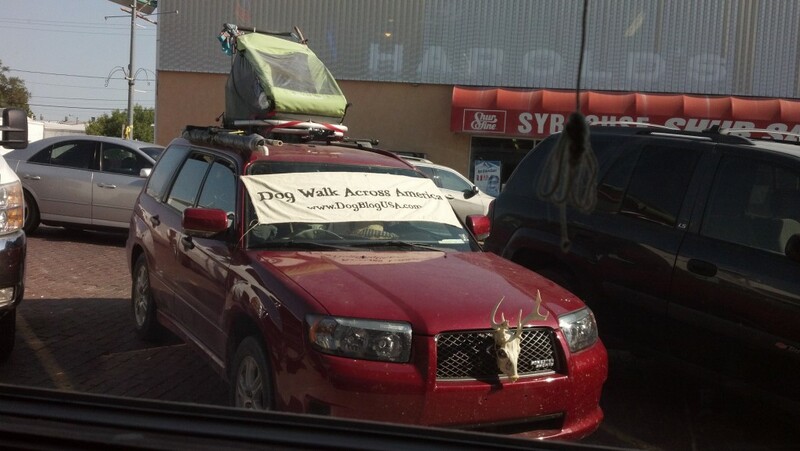 And so, in 2012, we walk across America for pet therapy and animal rescue. 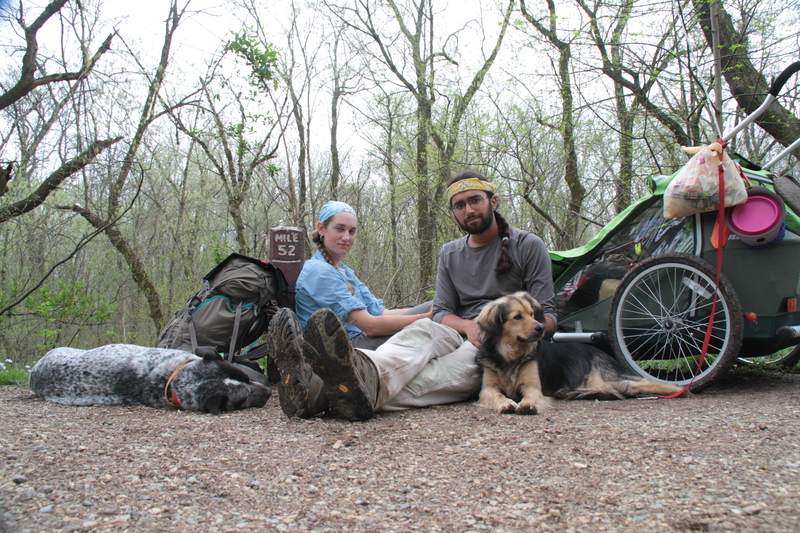 Kait, John, Grace, and Max walked the first 1,100 miles alone, with nothing but their backpacks and a pushcart. But our team was destined to grow. When we reached the Mississippi River and we hit the summer heat, our good friend Jon Slater and his dog, Old Brown Dog, joined us with a support car. Now, our team is made up of three dedicated humans and four very special dogs as we move across America spreading positivity, bound for The Pacific. 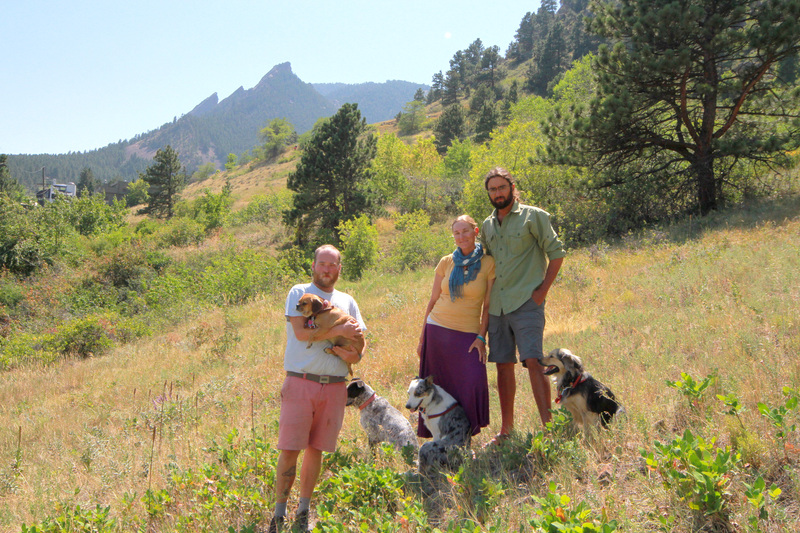 From left to right: Jon Slater and Brown Dog, Grace, Jenny #9, Kait and John Seyal, and Max. For basic questions about the dogs and day to day details of life on the road, visit our FAQs page or Contact us. We’d love to hear from you! 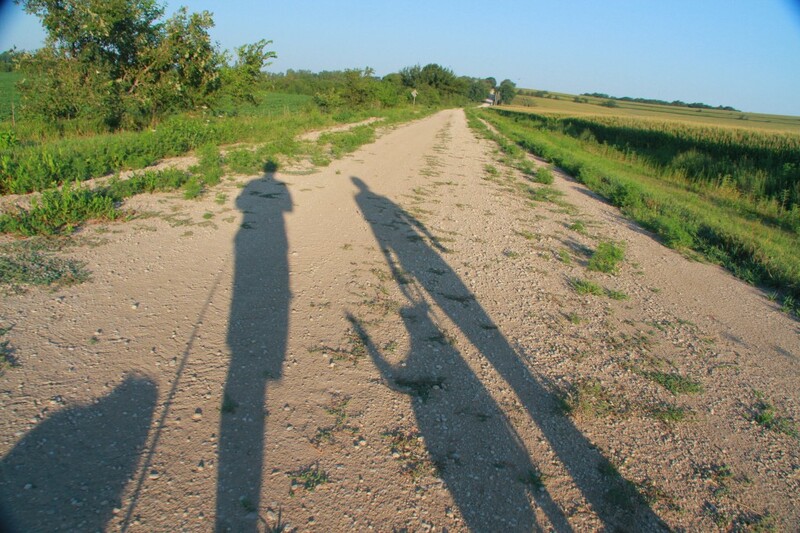 Dog Walk Across America is a sponsored project of MarinLink 501(c)(3). I agree with Sergey. I admire your courage and compassion! Thank you for your kind words Ken. And thank you for the work you do as a foster, helping animals find their new homes. Best of luck finding a home for Joseph! He seems awesome. Hey, y’all! I hope you are managing to contain your excitement as the Big Day draws nearer! I get so excited I could pee. Well…maybe that’s an exaggeration. But I do get really excited when I think about it. Love your blog and I nominated you for a 7X7 Link Award for blogging. Check out my latest post for an explanation and see where I tell the world how cool you guys are. Have fun with it! John & Kait, our Memorial Day was extra-special having you, Grace, and Max join our family. What a blessing to have our paths cross in this way. Sharing your dogs with those who need what they have to offer is truly a ministry of love. You’re an amazing foursome! As an animal rescuer, I think your “idea” is ok. However, as you yourself pointed out, I think you are asking far to much of your dogs in this unbearable heat. Why on earth would you do this to your dogs on molten hot asphalt? Is this REALLY about raising awareness? Or is it something you thought up, received backing for and now can’t turn back because a big deal has been made of it and you want to save face by not ending the walk before your goal is reached? It seems that its more about you and not about the well being of your dogs. We let our Border Collie Mix outside, just long enough to potty and then he goes back into the air conditioned house. I can not imagine having him out in this heat with the sun beating down on him walking down a super hot road. Just because your dogs are therapy dogs does NOT mean they are physically able to handle 20 miles a day just so their owners can proove a point. PLEASE, go home……get jobs and put your dogs first, not yourselves! I am sorry our project seems to have upset you. I am not sure how much of our website you have read, but in recent posts and on our front page we made it clear that we now have a support vehicle that joined us at the Mississippi River. The only reason we are taking on the significant personal expense of adding a support car is so that the dogs have a safe place to be during the heat of the day. Now that we are into summer, we only ask them to walk in the mornings, before the road is hot. After that they ride comfortably in the car for the rest of the day, while Kait and I make miles. Considering that this project wouldn’t exist without them, their safety is top priority. As far as quitting the walk and going home, it is not an option – not because of sponsors or supporters, but because we believe wholeheartedly in what we are doing. 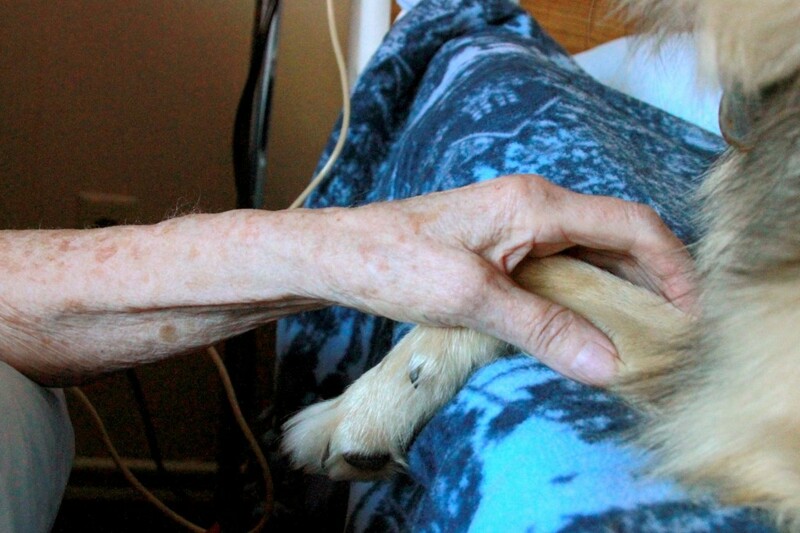 When we take our dogs in to visit people, we see the joy and comfort that they can offer. We would never be so selfish as to keep them to ourselves, having seen the positive impact they are having on countless lives. Thank you for your concern. Your dog is fortunate that you have air conditioning – that is a luxury that many people in this country can’t afford right now. Thankfully, even the homeless strays out here in the farmlands and all of the digs living outside in people’s yards seem to be handling the heat just fine. Thank you for the rescue work you do, and if you have any concerns or questions please feel free to contact us.